We draw a talented pool of students from diverse personal and professional backgrounds, including international students from more than 40 countries. Georgia State is the only public university with a School of Public Health in Atlanta. The Master of Public Health program, accredited since 2007, distinguishes itself in areas such as urban health disparities, chronic diseases and determinants, and violence prevention. Master of Public Health applicants must complete an application through SOPHAS and a Georgia State graduate admissions application. Both applications and all supporting documents must be in by the deadline. Please note that SOPHAS verification does not mean your application is complete and ready for review for Georgia State University. All applications must be SOPHAS verified and GSU complete before the review process can begin. During the application process, you will receive emails from our Office of Academic Assistance (OAA) containing follow-up questions or confirming receipt of your application. It is important for you to regularly check your email inbox and respond to emails from our OAA staff. Official GRE, GMAT and MCAT scores should be sent from the testing agency directly to Georgia State University. Use school code 5251. No departmental code is required. Beginning Spring 2016, the School of Public Health began accepting MCAT scores for the MPH program only. MCAT scores cannot be accepted in lieu of GRE scores for the DrPH or Ph.D. admissions. We recommend you take the test no later than two months prior to the application deadline to ensure your scores arrive in time. Applicants with an earned ECFMG Certificate or a doctorate (including an M.D. or J.D.) from a regionally accredited institution in the U.S. do not need to provide examination scores. One official transcript from each college and/or university previously attended (including Georgia State University). Transcripts are required regardless of length of stay or if the grades are listed on another institution’s transcript. DrPH and Ph.D. applicants: Admission preference will be given to students who have already acquired a master's in public health (MPH) or equivalent degree. You must possess at least a master's-level graduate degree to be admitted into the DrPH or Ph.D. programs. Students who hold a master's degree in a discipline other than public health will be considered on a case-by-case basis. Those applicants accepted without an MPH will be required to take prerequisite MPH core curriculum courses. Statement of Purpose and Objectives - Limit statements to one single-spaced page, or two double-spaced pages. Your specific interest in the Georgia State program. When completing the online application in SOPHAS, you will submit the names and email addresses for three individuals knowledgeable about your academic and/or professional abilities. Your recommenders will be sent instructions via e-mail on how to submit their recommendations through the secured application server. It is strongly recommended that at least one reference letter is an academic reference, especially if your college graduation has occurred in the last three years. Three professional references will be acceptable if you are unable to obtain an academic reference. For applicants whose native language is not English. If available, include a copy of your TOEFL/IELTS scores in your application packet. Any applicant who has completed all or part of their education outside the United States is required to have foreign credentials evaluated by World Education Services (WES). Study abroad credit is exempt from evaluation. WES is the only evaluation service accepted by SOPHAS. Please view SOPHAS instructions and FAQ's. These competencies are informed by the traditional public health core knowledge areas, (biostatistics, epidemiology, social and behavioral sciences, health services administration, and environmental health sciences), as well as cross-cutting and emerging public health areas. The MPH program includes a minimum of 42 credit hours of study at the master’s level beyond the bachelor’s degree. Students will take two (2) credit hours of a required practicum in the students’ concentration. Students will develop a practicum with the support of School of Public Health faculty and staff. Students will need to complete 240 hours of field work. Following completion of all coursework, students must complete at least three (3) credit hours for a master’s thesis or capstone project meeting established program guidelines. All students in the School of Public Health who are involved in writing or defending a master’s thesis/capstone project shall register for at least three (3) credit hours of thesis/capstone project credit each semester from the time they finish their course work until the time all requirements for the degree are completed. Twenty-one (21) hours of required coursework and electives have been established to ensure that students achieve proficiency in the core competencies and skills related to each concentration. Other appropriate research methods/statistics courses may be approved by the Division Director on the Master of Public Health Graduation Petition form. How do I know my application is complete? For your MPH application to be considered complete and ready for review, all of the required documents listed here must be received by SOPHAS and verified. During the SOPHAS application process, you will receive emails from our Office of Academic Assistance & Graduate Admissions (OAA) containing follow-up questions or confirming receipt of your application. It is important for you to regularly check your email inbox and respond to emails from our OAA staff. What should I do if I would like more information about the program? Please contact us at (404) 413-1452 or e-mail your question to: sphadmissions@gsu.edu. Is there a minimum GPA requirement for admission? There is not a minimum GPA, but applicants with a 2.75 GPA and above are generally preferred. Please note that applications will be considered individually based on a number of factors including the rigor of the academic program and the school attended. Is there a minimum GRE or GMAT score required? Applicants are required to take either the GRE or GMAT unless they have earned a terminal degree (M.D., J.D., Ph.D., etc.) from a U.S. institution. While there is no minimum score required on the GRE or GMAT, applicants who score a 300 or above on the GRE are more competitive. Due to the strength of the applicant pool, applicants who score below a 280 are unlikely to be offered admission. Please note that GRE scores over five years old cannot be accepted. Are there any pre-requisite majors or professional backgrounds for the MPH? No. Applicants are admitted to our program with a host of different academic and professional backgrounds. Where and what time are classes held? All Master of Public Health classes are held at Georgia State University’s downtown campus. Classes are held in the afternoon as well as in the early evenings to accommodate working students. Click HERE for the Georgia State University schedule. Please note that not all classes especially electives are offered in the evenings. Students may need to take courses in the afternoon as well as evening. Do you offer any classes online? While we offer a few online classes, we are not a distance education program, and most classes will be held in person on Georgia State’s campus. What is the policy for transfer of credits? Students who have completed graduate courses at other accredited institutions prior to enrollment in the MPH program may request that any such courses be evaluated for transfer of credit. The student must have earned a grade of “B” or better in all transferable courses. The maximum amount of credit that may be transferred is nine (9) semester hours. Exceptions to this rule will be granted on an individual basis. Click HERE for the Graduate Request for Evaluation of Transfer Credit. Who should I get to provide recommendations? The School of Public Health requires the applicant to submit three Reference Forms. While we do not require an academic reference, we recommend submitting at least one academic reference. Other recommendations should be sought from employers and/or supervisors from paid and/or volunteer work. It is suggested that a friend, relative, or peer not be used as a reference. Please give recommenders adequate time to submit their recommendation online or via mail. What information must be included in my Statement of Interest and Professional Intent and how long should it be? Your specific interest in the public health program. How much does tuition cost and how can I check on my financial aid process? Please see the university’s Tuition and Fees webpage. How can find out more about financial aid options at Georgia State? 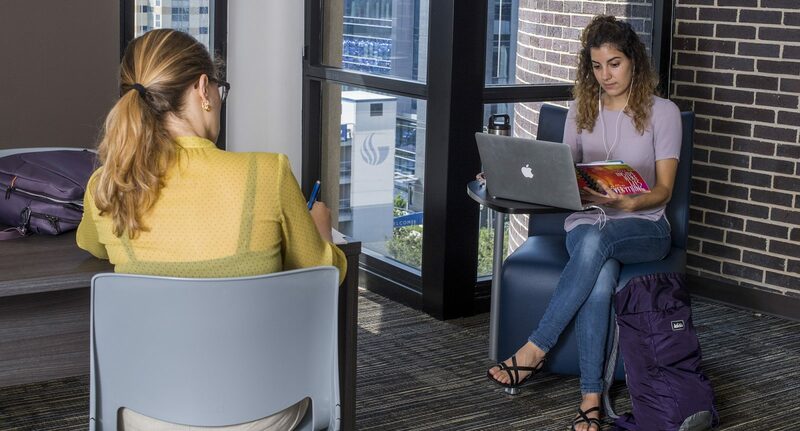 You can check on your financial aid status by calling the Office of Student Financial Aid at (404) 413-2600 or online at http://www.gsu.edu/financialaid. If I am not recommended for admission or wish to withdraw my application, may I have my materials back? Once your application and materials have arrived in our office, they become the property of Georgia State University. For this reason no materials will be returned or released to an applicant or to any other party, such as another school or external agencies, for example. Moreover, your application fee is nonrefundable and will not be returned if your application is withdrawn or denied. Currently, there is no required pre-requisite coursework for the Master of Public Health program. Applicants with a variety of educational backgrounds are admitted. Applicants must possess at least a Bachelor’s degree from a regionally-accredited college or university in the United States (or international equivalent) to be considered for admission. When will I be notified of a decision about my application? Master of Public Health applicants who submit completed applications by the Spring deadline will be notified of their admission decision no later than November 15; MPH applicants who submit a completed application by the Fall deadline (February 15) will be notified of their admission decision no later than May 1. What are the testing and GPA requirements? Applicants for the MPH program are admitted for fall and spring semester enrollment. A larger number of students are accepted during the fall admission cycle. Applicants are required to take provide either GRE or GMAT scores. Beginning Spring 2016, the School of Public Health will also accept MCAT scores. While no minimum GRE scores or GPA are required for admission, applicants who score below the 50th percentile on the GRE and/or have a GPA below a 2.75 will be unlikely to be admitted into the Master of Public Health or Certificate in Public Health programs. Applications will still be reviewed individually and holistically by the Admission Committee. The committee will take into account academic preparation, academic and professional focus, professional experience and references. What should I do if I'm reapplying to the program? If you were previously denied admission into the Master of Public Health program, you should contact the Office of Academic Assistance at (404) 413-1452 or publichealthadvising@gsu.edu about the process for re-applying. At a minimum, re-applicants will need to submit a new application, an updated resume, and a new Statement of Interest and Professional Intent. Re-applicants are also encouraged to submit updated test scores, transcripts and letters of reference if available.